James joined Morgan Has Solicitors as a trainee in 2014. He completed his seats in personal injury and commercial litigation, and now heads the Immigration & Asylum Law Team of our Mergul Law branch, having worked for several years in civil litigation. Before pursuing a career in law, achieved a First Class Honours in LLB and a Bachelor of Civil Law (BCL) from St Hilda’s College, University of Oxford. James is a recipient of the Astbury Scholarship from Middle Temple. This scholarship is awarded to those Oxford and Cambridge graduates who show the most promise as a barrister. 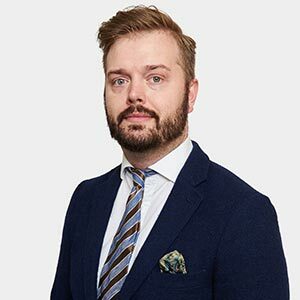 As part of his training, James has run fast-track and multi-track cases, drafted SSDs, negotiated settlements, taken witness statements and drafted pleadings. He has also drafted contracts, partnership agreements and constitutions for charities. James worked as a paralegal for 3 years before commencing his training contract, enabling him to obtain a good grounding in civil litigation, particularly in employment law and personal-injury litigation. Before joining Mergul Law, James also lectured part-time at the University of East London, University of Essex and SOAS.